Dell Inspiron 660 i660, Virtual Server Diamond in the rough? During the 2013 post thanksgiving black friday shopping day, I did some on-line buying including a Dell Inspiron 660 i660 (5629BK) to be used as a physical machine (PM) or VMware host (among other things). Now technically I know, this is a workstation or desktop and thus not what some would consider a server, however as another PM to add to my VMware environment (or be used as a bare metal platform), it is a good companion to my other systems. Initially my plan for this other system was to go with a larger, more expensive model with as many DDR3 DIMM (memory) and PCIe x4/x8/x16 expansion slots as possible. Some of my other criteria were PCIe Gen 3, latest Intel processor generation with VT (Virtualization Technology) and Extended Page Tables (EPT) for server virtualization support without breaking my budget. Heck, I would love a Dell VRTX or some similar types of servers from the likes of Cisco, HP, IBM, Lenovo, Supermicro among many others. On the other hand, I really don’t need one of those types of systems yet, unless of course somebody wants to send some to play with (excuse me, test drive, try-out). Hence needs are what I must have or need, while wants are those things that would be, well, nice to have. In the course of shopping around, looking at alternatives and having previously talked with Robert Novak (aka @gallifreyan) and he reminded me to think outside the box a bit, literally. Check out Roberts blog (aka rsts11 a great blog name btw for those of use who used to work with RSTS, RSX and others) including a post he did shortly after I had a conversation with him. If you read his post and continue through this one, you should be able to connect the dots. While I still have a need and plans for another server with more PCIe and DDR3 (maybe wait for DDR4? ;) ) slots, I found a Dell Inspiron 660. Candidly normally I would have skipped over this type or class of system, however what caught my eye was that while limited to only two DDR3 DIMM slots and a single PCIe x16 slot, there were three extra x1 slots which while not as robust, certainly gave me some options if I need to use those for older, slower things. Likewise leveraging higher density DIMM’s, the system is already now at 16GB RAM waiting for larger DIMM’s if needed. The Dell Inspiron 660-i660 I found had a price of a little over $550 (delivered) with an Intel i5-3330 processor (quad-core, quad thread 3GHz clock), PCIe Gen 3, one PCIe x16 and three PCIe x1 slots, 8GB DRAM (since reallocated), GbE port and built-in WiFi, Windows 8 (since P2V and moved into the VMware environment), keyboard and mouse, plus a 1TB 6Gb SATA drive, I could afford two, maybe three or four of these in place of a larger system (at least for now). While for something’s I have a need for a single larger server, there are other things where having multiple smaller ones with enough processing performance, VT and EPT support comes in handy (if not required for some virtual servers). Some of the enhancements that I made were once the initial setup of the Windows system was complete, did a clone and P2V of that image, and then redeploying the 1TB SATA drive to join others in the storage pool. Thus the 1TB SATA HDD has been replaced with (for now) a 500GB Momentus XT HHDD which by time you read this could already changed to something else. Another enhancements was bumping up the memory from 8GB to 16GB, and then adding a StarTech enclosure (See below) for more internal SAS / SATA storage (it supports both 2.5" SAS and SATA HDD’s as well as SSD’s). In addition to the on-board SATA drive port plus one being used for the CD/DVD, there are two more ports for attaching to the StarTech or other large 3.5" drives that live in the drive bay. Depending on what I’m using this system for, it has different types of adapters for external expansion or networking some of which have already included 6Gbps and 12Gbps SAS HBA’s. What about adding more GbE ports? As this is not a general purpose larger system with many expansion ports for PCIe slots, that is one of the downsides you get for this cost. However depending on your needs, you have some options. 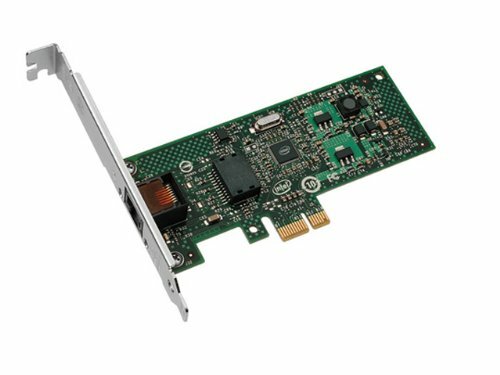 For example I have some Intel PCIe x1 GbE cards to give extra networking connectivity if or when needed. Note however that as these are PCIe x1 slots they are PCIe Gen 1 so from a performance perspective exercise caution when mixing these with other newer, faster cards when performance matters (more on this in the future). One of the caveats to be aware of if you are going to be using VMware vSphere/ESXi is that the Realtek GbE NIC on the Dell Inspiron D600-i660 may not play well, however there are work around’s. Check out some of the work around’s over at Kendrick Coleman (@KendrickColeman) and Erik Bussink (@ErikBussink) sites both of which were very helpful and I can report that the Realtek GbE is working fine with VMware ESXi 5.5a. Need some extra SAS and SATA internal expansion slots for HDD and SSD’s? 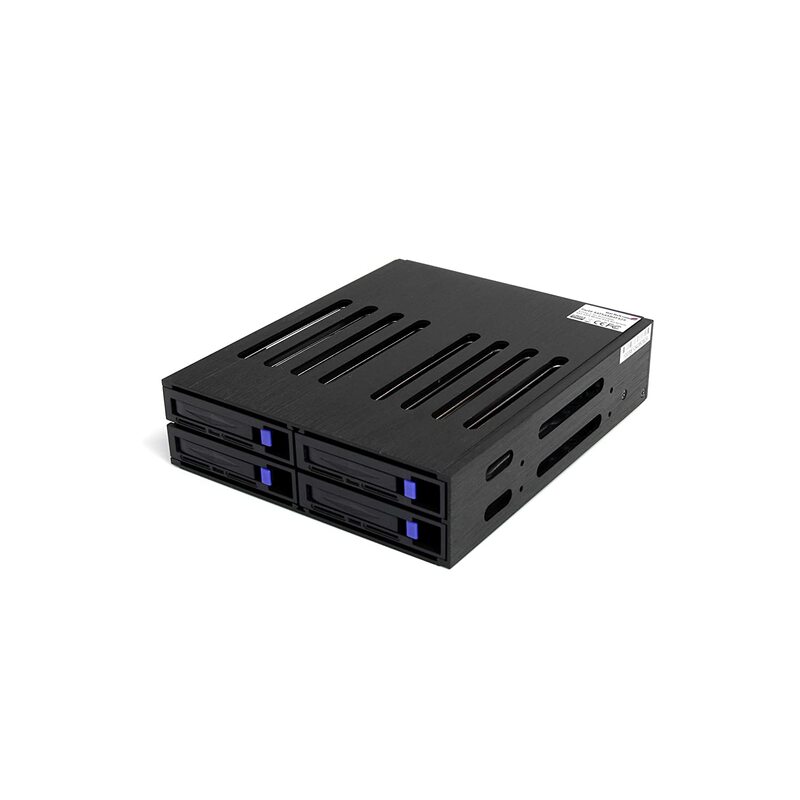 The StarTech 4 x 2.5″ SAS and SATA internal enclosures supports various speed SSD and HDD’s depending on what you connect the back-end connector port to. On the back of the enclosure chassis there is a connector that is a pass-thru to the SAS drive interface that also accepts SATA drives. This StarTech enclosure fits nicely into an empty 5.2″ CD/DVD expansion bay and then attach the individual drive bays to your internal motherboard SAS or SATA ports, or to those on another adapter. So far I have used these enclosures attached to various adapters at different speeds as well as with HDD, HHDD, SSHD and SSD’s at various SAS/SATA interface speeds up to 12Gbps. Note that unlike some other enclosures that have SAS or SATA expander, the drive bays in the StarTech are pass-thru hence are not regulated by the expander chip and its speed. Price for these StarTech enclosures is around $60-90 USD and are good for internal storage expansion (hmm, need to build your own NAS or VSAN or storage server appliance? ;) ). 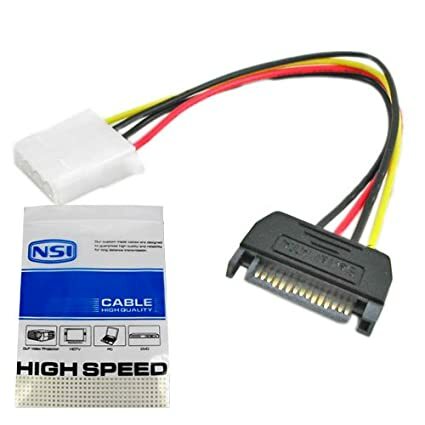 Note that you will also need to get a Molex power connector to go from the back of the drive enclosure to an available power port such as for expansion DVD/CD that you can find at a Radio Shack, Fry’s or many other venues for couple of dollars. Double check your specific system and cable connector leads to verify what you will need. So far so good, in addition to using it for some initial calibration and validation activities, the D660 is performing very well and no buyers remorse. Ok, sure, would like more PCIe Gen 3 x4/x8/x16 or an extra on-board Ethernet, however all the other benefits have outweighed those pitfalls. In the above chart (slide scroll bar to view more to the right) a Windows 7 64 bit systems (VMs configured with 14GB DRAM) on VMware vSphere V5.5.1 is shown running on different hardware configurations. 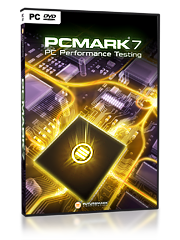 The Windows system is running Futuremark PCMark 7 Pro (v1.0.4). From left to right the Windows VM on the Dell Inspiron 660 with 16GB physical DRAM using a SSHD (Solid State Hybrid Drive). Second from the left shows results running on a Dell T310 with an Intel X3470 processor also on a SSHD. Middle is the workload on the Dell 660 running on a HHDD, second from right is the workload on the Dell T310 also on a HHDD, while on the right is the same workload on an HP DCS5800 with an Intel E8400. The workload results show a composite score, system storage, simulating user productivity, lightweight processing, and compute intensive tasks. Mention KVM to many people in and around the server, storage and virtualization world and they think KVM as in the hypervisor, however to others it means Key board, Video and Mouse aka the other KVM. As part of my recent and ongoing upgrades, it was also time to upgrade from the older smaller KVM’s to a larger, easier to use model. The benefit, support growth while also being easier to work with. Having done some research on various options that also varied in price, I settled in on the StarTech shown below. 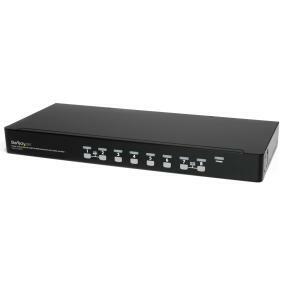 What’s cool about the above 8 port StarTech KVM switch is that it comes with 8 cables (there are 8 ports) that on one end look like a regular VGA monitor screen cable connector. However on the other end that attached to your computer, there is the standard VGA connection that attached to your video out, and a short USB tail cable that attached to an available USB port for Keyboard and Mouse. Needless to say it helps to cut down on the cable clutter while coming in around $38.00 USD per server port being managed, or about a dollar a month over a little over three years. Be advised that there are various makes and models of the Dell Inspiron available that differ in the processor generation and thus feature set included. Pay attention to which make or model you are looking at as the prices can vary, hence double-check the processor make and model and then visit the Intel site to see if it is what you are expecting. For example I double checked that the processor for the different models I looked at were i5-3330 (view Intel specifications for that processor here). Thanks to Robert Novak (aka @gallifreyan) for taking some time providing useful tips and ideas to help think outside the box for this, as well as some future enhancements to my server and StorageIO lab environment. Consequently while the Dell Inspiron D600-i660 was not the server that I wanted, it has turned out to be the system that I need now and hence IMHO a diamond in the rough, if you get the right make and mode.